Moved by that hare’s dismay. The quotation is a translation from The Jataka, a body of Indian literature that relates to previous births of the Buddha, and dates to somewhere around the third or fourth century BC. The story is perhaps the origin of the more modern story of Chicken Little, and tells the parable of a hare that lived at the base of a vilva tree. While idly wondering what would become of him should the earth be destroyed, a vilva fruit made a sound when it fell on a palm leaf, causing the hare to conclude that the earth was collapsing. He spread his worry to other hares, then to larger mammals, all of them fleeing in panic that the Earth was coming to an end. When radiation is discussed in the news, I often think of the story of the hare and vilva tree. It seems that we are perpetually confronted with calls to overregulate radiation based on irrational fears of its effects on the human body. Here I mentioned the persistent fears about radiation from cell phones and the passing of legislation in San Francisco last year requiring that retailers display radiation-level information when selling such devices, but there are many others that appear repeatedly in the news: radiation from power lines, from computer screens, from cell-phone towers, and from any number of common household devices have at times been alleged to be responsible for causing cancer. All of these allegations have uniformly been discredited in thousands of scientific publications over the last decades because they do not produce radiation at energies sufficient to break chemical bonds, a factor that is critical in the mechanism by which cancer is caused. There are legitimate concerns about radiation. It does cause cancer in human beings. Regulating our exposure to harmful radiation is an important and necessary role for governments. But at the same time, rationality must surely prevail based on accurate scientific understanding of the mechanisms by which radiation causes cancer. There are a number of simple facts relevant to the debate. First, human beings have evolved in an environment in which we are continually exposed to radiation — from cosmic rays, the Sun, and the ground all around us — and our bodies are adapted to exist with certain levels of radiation. Indeed, the biological mechanisms by which we evolved as human beings are intimately related to that radiation exposure. A wonderful graphic produced by Randall Munroe at xkcd illustrates different exposure levels and can be seen here. One amusing fact shown in the chart is that consumption of a banana exposes a person to more radiation than living within fifty miles of a nuclear power plant for a year — and is dramatically less than the exposure from the natural potassium that exists in the human body. Second, there are only a limited number of viable options to produce energy at the levels demanded by modern society. 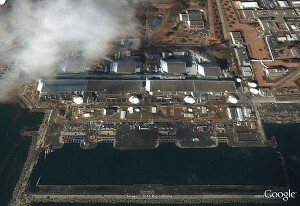 These are basically through the use of coal power generation and the use of nuclear power generation. Other “clean” technologies that are frequently pointed to, such as wind and solar power generation, are wonderful technologies that are worth pursuing and which may one day be efficient enough to provide adequate levels of energy to replace coal and nuclear methods. But that day is not here yet. Those technologies are simply incapable of producing energy at the levels needed to support modern society and, in any event, have their own environmental concerns that need to be considered and addressed. I commented, for example, on some environmental concerns associated with wind power generation here. Third, with the particular safety mechanisms that are in place, nuclear power generation is safer than coal generation, its only realistically viable alternative. The xkcd chart cited above notes, for instance, that there is greater radiation exposure from living within 50 miles of a coal power plant for a year than living within the same distance from a nuclear power plant for a year. The Clear Air Task Force, an organization that has been monitoring the health effects of energy sources since 1996, released a report last year finding that pollution from existing coal plants is expected to cause about 13,200 deaths per year, in addition to about 9700 hospitalizations and 20,000 heart attacks. A copy of the report can be read here. Nuclear power generation is also more environmentally responsible since it does not release climate-changing greenhouse gases in the way that coal power generation does. When considering policy to reduce or eliminate the use of nuclear power — driven largely because the smaller number of deaths from nuclear power result from isolated high-profile events instead of the greater number of deaths that result from the persistent low-level effects of coal power generation — it is important to take these comparisons into account. I want to offer a final comment about radiation hormesis, which was recently raised most prominently by political commentator Ann Coulter in the context of the Fukushima event, although it has also been raised by other, more scientifically reliable, sources. For example, Bob Park, a respected physicist who comments regularly on science and government policy, raised it in the context of a recent study that he interprets as showing that “Chernobyl survivors today suffer cancer at about the same rate as others their age [and that t]he same is true of Hiroshima survivors.” His remarks can be found here. Radiation hormesis is an effect in which low-level exposure to radiation produces beneficial effects and that has apparently been observed in laboratory settings. It has not been convincingly confirmed in human beings and the exposure rates to produce the effect are, in any event, low. My own view is that pointing to radiation hormesis as a positive argument for the use of nuclear power is counterproductive. The effect is too speculative and there are too many other — stronger — arguments in its favor. The Jataka tells us that when the panicked masses led by the timid hare met a lion, it was he who restored their sensibility. He brought them to their senses by looking coldly at the facts and determining that the earth was not breaking apart; it was only the misunderstood sound of a vilva fruit. Let’s be lions, not hares. When the United States and France completed the Louisiana Purchase in 1803, it was unclear exactly how much land was being exchanged. President Thomas Jefferson accordingly commissioned the Corps of Discovery to explore the territory, choosing his friend Meriwether Lewis to lead the expedition. Over a period of some two and half years, Lewis and his partner William Clark were to conduct the first overland expedition of North America to the Pacific coast and back. During their travels, they established relationships with some of the native peoples, notably eliciting the aide of the Shoshone woman Sacagawea to act as a guide and interpreter. They were to provide a significantly improved understanding of the geography of the northwestern United States and to document 122 previously unknown species of animals and 178 new plants and trees. It was at the mouth of the Marias River in what is now Chouteau County, Montana that Lewis and Clark encountered the sage grouse on June 6, 1805. Their native-american companions told them it was a common bird, and indeed their journals record further encounters throughout much of the region. 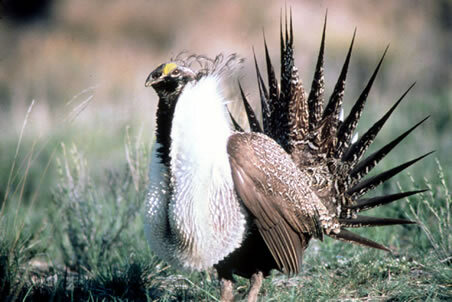 Estimates are that sage grouse numbered somewhere around 16 million in population around the time of their documentation by Lewis and Clark. Today, it has only a fraction of that population — somewhere about 250,000 — and efforts to include it on the Endangered Species List have become emblematic of what many scientists see as political encroachment on scientific independence. Earlier this year, Secretary of the Interior Ken Salazar announced that the sage grouse “warrants” inclusion on the List but that it was “precluded by the need to address higher priority species first.” A very different decision was made under the Bush administration in 2005 when Deputy Assistant Secretary Julie MacDonald ruled against its listing. That decision was one that highlighted some of the most egregious interference with science for political reasons in recent memory. 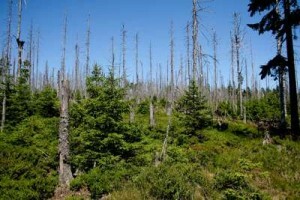 In Western Watersheds Project v. United States Forest Service, the Idaho District Court described the conduct of the Deputy Assistant Secretary as “inexcusable,” finding that “[h]er tactics included everything from editing scientific conclusions to intimidating [Freedom and Wildlife Service] staffers.” The court’s ruling, which can be found here, documents repeated and persistent “attempts to improperly alter the ‘best science’ findings” as part of a campaign to achieve “preordained” political objectives. Similar allegations have been leveled against her by scientists in numerous other cases involving decisions not to list certain species. It is perhaps no surprise then that the release of a draft policy on scientific integrity by the Interior Department is being viewed with considerable skepticism by scientists. Those scientists remember well when President Obama issued his Memorandum on Scientific Integrity on March 9, 2009 calling for the development of “recommendations for Presidential action designed to guarantee scientific integrity throughout the executive branch” within 120 days. A copy of his Memorandum can be found here. It was still the honeymoon period for the new administration and at the time, the apparent commitment was heralded by many scientists as a welcome change from perceived attempts by the prior administration to suppress scientific knowledge and conclusions for political purposes. But that enthusiasm has steadily given way to frustration and disappointment as time still continues to pass more than a year after the President’s deadline without any recommendations or plan being developed. A copy of the draft policy can be read here. To be fair, the policy has been released in draft form as part of the normal rule-making procedure that is followed by Executive agencies so that comments can be collected from the public and considered prior to its actual implementation; the comment period is set to expire on September 20, 2010. That procedure is an important part of the process, allowing the public at large to identify and articulate deficiencies in proposed policies or rules. Proposals can sometimes be modified significantly in light of the comments that are provided, and the hope is that that will happen in this instance. But even if the major concerns are addressed, scientists will still eagerly await the more broadly applicable recommendations promised by the President in the ambitious early days of his tenure. Wind Energy. It’s great for the environment, right? No greenhouse-gas emissions. No radioactive waste to dispose of. Completely renewable so there’s never any risk at all of exhausting its supply. Even in this era of seemingly endless acrimony among the political parties of the United States, there is actually strong agreement that wind energy is a good thing, for all of the reasons cited above and many others. 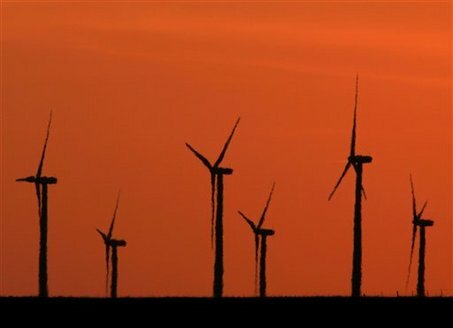 In a survey conducted by the American Wind Energy Association in April, 84% of Republicans, 93% of Democrats, and 88% of Independents expressed their belief that increasing the amount of energy the U.S. produces from wind is a good idea. That kind of agreement is just unheard of these days. So why have environmental groups taken to filing lawsuits to block the development of wind farms? That’s what they want, isn’t it? To promote the use of “green” forms of energy production? Are they just a bunch of tree huggers who look for an excuse to oppose everything just because they like to be contrary? Or do they have a point? The environmental concerns about wind farms arise because the motion of the turbines results in the death of many flying animals, notably birds and bats. Most of the deaths occur because of collisions with the turbines, but they can also occur from a condition known as barotrauma. In the same way that human divers can develop the bends when they decompress by returning to the surface from sea depths too quickly, barotrauma occurs when the motion of turbine blades at wind farms create low-pressure zones that can cause the lungs of small animals to hemorrhage. A legal basis for challenging the development of wind farms from an environmental standpoint arises particularly when the affected animals have a protected status under the Endangered Species Act. The first such case was Animal Welfare Institute v. Beech Ridge Energy LLC, which concerned the Beech Ridge Wind Energy Project along the Appalachian mountain ridgelines in West Virginia. The project was budgeted at some $300 million and expected to produce 186 megawatts of power, enough to satisfy the energy needs of 50,000 households in a typical year. But the site was in the migratory path of the tiny Indiana bat, a species of bat that weighs only a quarter of an ounce. The Indiana bat has been designated as an endangered species since 1967, and its population has since that time reduced by about 50% despite that designation. The court, in an order issued December 8, 2009, allowed the completion of 40 turbines whose construction had already begun, but ordered that those turbines could only be operated during the hibernation phase of the Indiana bat, a period of about three and a half months from November to March each year. 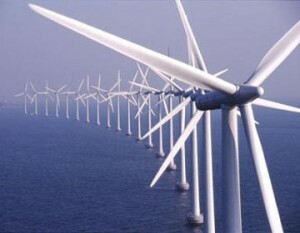 If the turbines are to be operated at other times of the year, a permit is required from the Fish and Wildlife Service after it conducts a study on the impact of the wind farm on the bats. The process for obtaining a permit is currently ongoing; the Fish and Wildlife Service issued a Request for Information last week as one of the first steps in its investigation. Subsequent to the decision, a settlement was reached between the parties that allows for construction of an additional 27 turbines, provided they are only operated at times of the day and year when Indiana bats are not expected to be flying. In many ways, this result seems harsh. There are many calls to develop alternative forms of energy production and wind energy is an important one of these. And the operation of a large project that would supply energy for tens of thousands of households has been constrained to accommodate the schedule of a tiny animal that is rarely observed. But this was just the first of what appears to be quickly turning out to be a large number of lawsuits challenging wind farms because of their impact on endangered species. Last month, a lawsuit was filed to stop the Cape Wind Project, an offshore wind farm planned in Nantucket Sound off Cape Cod in Massachusetts. This would be the nation’s first offshore wind farm, but the lawsuit alleges that it would endanger piping plovers, a protected species of bird, as well as endanger whales. Threats have been made to bring a lawsuit to stop the Garrett County wind project in western Maryland because of its impact on both the Indiana bat and the Virginia big-eared bat, another protected species. The Radar Ridge Wind Project in the State of Washington may be in jeopardy because of concerns about the migration patterns of the protected marbled murrelet. Wind projects in California are coming under increasing scrutiny because of deaths of whooping cranes at wind farms, one of the first birds to be listed as endangered under the Endangered Species Act. And there are many other examples gaining attention in the wake of the Beech Ridge decision. There are other legal concerns related to wind farms and which have resulted in lawsuits, this time because of their impact on human beings. Noise from turbine motion is a common source of the complaints that lead to lawsuits. But even more interesting is turbine shadow flicker, an effect caused by the rotation of the turbines that produces a strobe effect when sunlight shines along a path that includes the turbines. Shadow flicker can cause eyestrain, headaches, nausea, and even induce epileptic seizures in some people. But I will leave the discussion of this aspect of wind-energy lawsuits for another day.